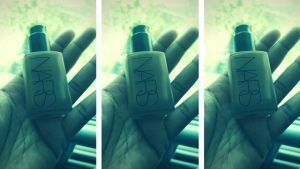 You are here: Home / MAKE-UP / Foundation: Tools To Make You Go Ooo! Foundation: Tools To Make You Go Ooo! Foundation isn’t always the easiest makeup product to find. Liquid foundation is the most commonly used texture although there are many others. There are so many colour options, textures, types and price points that it can be so confusing to even know where to start. If you eventually find the right foundation after one has made you look like you’ve either eaten a lightbulb because you’re so yellow or you’re an escaped oompa loompa because you’re so orange, you might find that you get stuck on application. It can be a difficult thing to apply because adjustments need to be made dependent on the amount of coverage needed. However, there is hope. Getting the right tools to apply your product can make ALL the difference so let’s talk about the good the bad and the ugly when it comes to foundation. I’m not against people using their hands to apply their foundation entirely. Hands are great for getting to feel the texture of your foundation on your skin. Using your hands warms the product up which can change the colour slightly. This is due to the increased oxidisation of the product from the air and the warmth of your body. They main disadvantages to using your hands to apply foundation is that you may be putting bacteria directly onto your skin if your hands aren’t clean. You also tend to waste more products when using your hands as your skin can absorb some of it. There are hundreds and millions of brushes out there on the market. Flat ones, big ones, tall ones, short ones but which ones work best? As you probably know. I’m a bit of rebel and don’t believe in using ‘foundation’ brushes. In my opinion, they aren’t very good. They can leave your finish streaky and uneven. Larger brushes though, such as stippling brushes can give your foundation the kiss of life. Circular motions are your friend when applying foundation. How are you meant to achieve that with a flat brush? My personal favourite is the Real Techniques Expert Face Brush. It’s dense enough to apply product smoothly but not absorb it all. 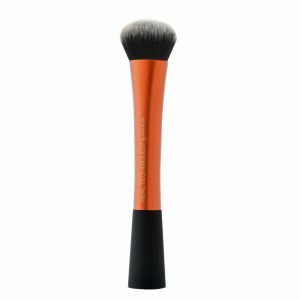 The disadvantages of using brushes is that you can often apply too much product to the skin and the finish may not be smooth if you are inexperienced. I love sponges for all kinds of reasons. The finish you can achieve when using sponges is second to none. Foundation sits better on the skin when applied with a sponge. Just a note though, they need to be damp before usage. 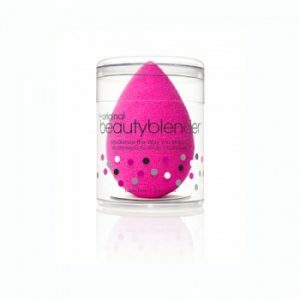 The most famous sponge in the world is The Beauty Blender and whilst I own one, it’s simply not necessary to spend the money required to get one as I also buy ones from Ebay that are just as brilliant. Using sponges to apply foundation are just simply amazing! They give the smoothest finish of all in my opinion. One disadvantage is that they must always be damp when used, if not they just soak up all of your product and the can harbour massive amounts of bacteria and so they need frequent cleaning. So there you have it! 3 types of tools, one face. What would you choose? Until next time my beauties, keep it fresh! Signup to our newsletter today to get our free beauty tips and tricks!